Over this last week there’s been a lot of positive press and media coverage around Historic England’s (HE’s) announcement of its move to give listed Grade II or II* status to 41 examples of British post-1945 public art. This new listing represents an important development by HE to recognise the ‘new heritage’ value of public artworks and is an action that can be read as an indicator of the current vulnerability and ‘at risk’ status of much civic public art in towns and cities across the UK. As Rachel Cooke wrote in her article in yesterday’s Observer (an unusually affectionate take on public art) [link], in our current age of austerity ‘public art is going through a difficult and sad time’ – not much new work is being commissioned and much of what already exists is neglected or forgotten. Indeed Cooke notes and as HE itself attests, some of the UK’s post-war public art has already been destroyed, stolen or disappeared. In recognition of this vulnerability, over the next three years post-1945 public art will be one of HE’s new priority areas for additions and revisions to the National Heritage List for England (NHLE). This is part of HE’s project ‘Public Art (Sculpture) 1945-85: Designation, Exhibition and Guidance’, a programme of activity and research that includes a forthcoming exhibition telling the story of post-war public art commissioning at Somerset House in London and the production of new guidelines for the listing and designation of public art produced between 1945-85. 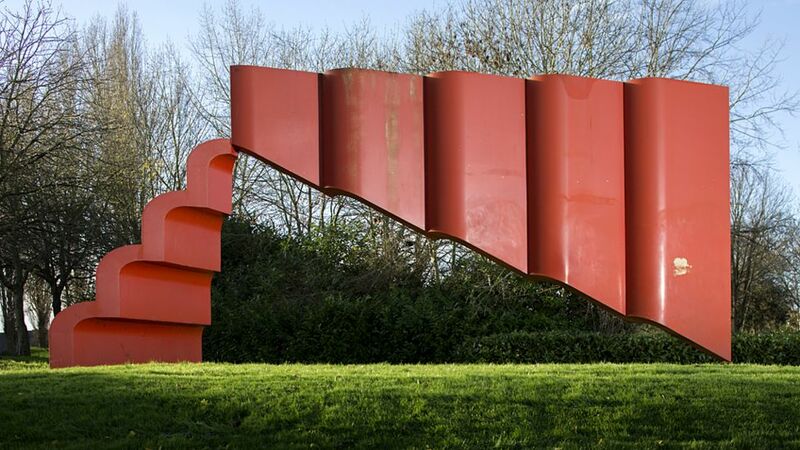 As well as its announcement of the 41 list, as a first step HE have just launched a new summary document written by art historian Lynn Pearson on the key trends in UK post-war public, focusing primarily on sculpture and architectural murals. The 41 public artworks selected for Historic England’s new Grade II listing are pretty eclectic. As might be expected there are works by ‘big name’ British sculptors – Moore, Hepworth and Frink feature quite strongly (Gormley’s work is there as well) – but also many works by much lesser-known artists. In terms of artform and material these artworks range from abstract steel and concrete sculptures to bronzes, figurative statues, memorials and architectural reliefs. Some artworks are in parks, while others are sited on buildings and within the streetscape. Commissioners include public sector bodies and private corporations as well as a number of universities. Historic England doesn’t go into much detail on how these particular works have been selected for ‘listed status’. For me, it would be interesting to know whether these are simply the artworks deemed to be at the most immediate ‘risk’ or whether there is also some process of comparative significance assessment going on here as well? Who petitioned for the listing of these particular artworks? Were these put forward by HE itself or by another heritage or cultural body, or by the artist (or their estate or gallery) perhaps? Or by the artwork’s commissioner or current corporate or institutional owner? To what extent have members of the public art audience been involved as instigators of this listing process? It’s not clear either how many other public artworks might be listed in future. It’s certainly noticeable from the current list of 41 and the map HE has put together that no artworks are listed from the North East for example or from the South West. 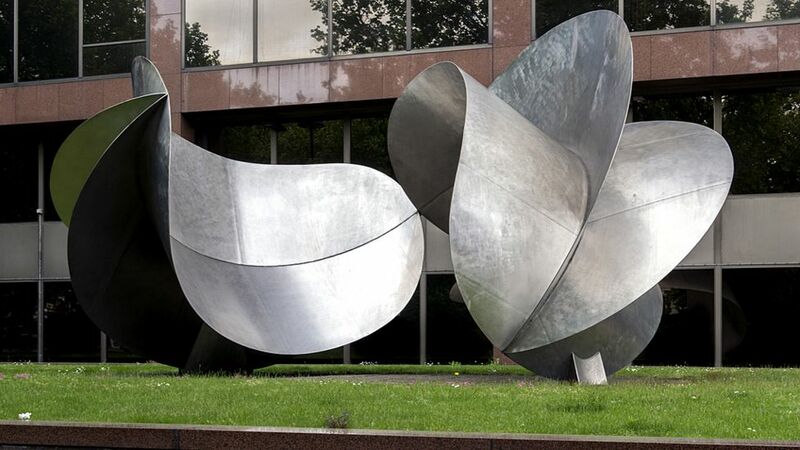 More than half of the public artworks enjoying HE’s new listed status are located in London. Maybe public artworks in other more far flung parts of England are less at risk, or possibly not sufficiently valued to initiate such a listing (or perhaps HE’s project hasn’t got to these corners of the country as yet?). Thinking in terms of my own PhD research and recent study visits the artists and public artworks in the list that particularly caught my eye were those by Bernard Schottlander, an artist who I’ve been introduced to and very much enjoyed on my own public art explorations in Milton Keynes and Manchester. (Schottlander has three artworks in the current listing – in Milton Keynes, London and Warwick). 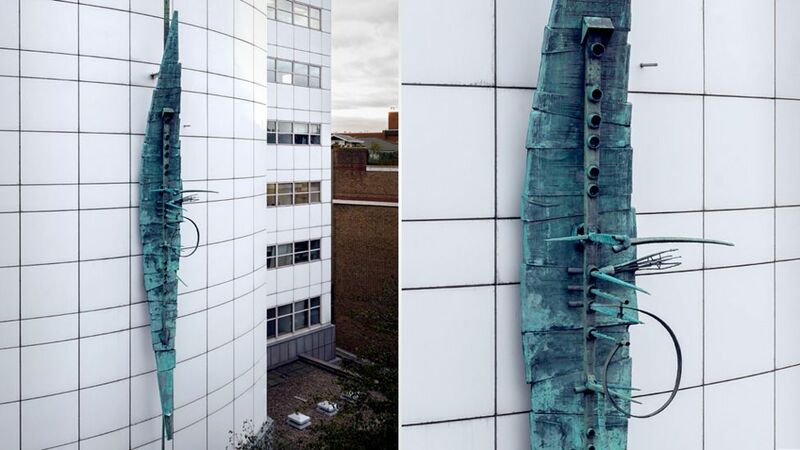 The second was Geoffrey Clarke who’s now listed ‘The Spirit of Electricity’ (1961) was completed the year before his sculpture ‘Spiral Nebula’ was installed at Newcastle University. Out There: Our Post-War Public Art runs at Somerset House, London, from 3 February to 10 April 2016. I’ll be reporting back on the exhibition and on a linked panel discussion organised by the Royal Academy (‘What’s the Future of Public Art’ The Geological Society, London, 15 February) on this blog next month.